Republic Convention is asking how citizens can really take back control from the powerful institutions of Westminster. How democratic is Britain? If we really want political control, what reforms do we need in Westminster? How does the monarchy shape and reflect a centralised and secretive British state? Can we learn from our European neighbours? Hear a range of speakers who will look at these issues. Find out what reforms Republic proposes for Britain’s democracy – and why the battle to take control needs to begin at home. Come and join the debate, find out more about Republic’s campaign. This one-day convention is open to everyone – book your place today! 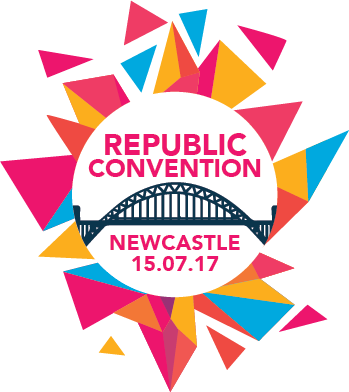 Join us in Newcastle for Republic Convention 2017. Have you booked your ticket? From just £18 which includes a great lunch and refreshments. Tickets are only £18 (members) or £20 (non members) and include lunch and refreshments. Doors will open at 10:30. The day runs from 11am to 5pm. Lunch is provided as part of the ticket price. Republic Convention is your chance to hear from a whole host of fantastic speakers on the monarchy and how we create a more democratic Britain. If we’re going to make government work for the people it needs to be democratic. That means wider democratic reform, changing the way parliament works, devolving power and improving the quality of governance. What relationship do the royals have with the local community in Kensington, and can that relationship show a link between monarchy and inequality in Britain? What are the values and principles that lie behind republicanism, and what lessons can we learn from other countries? Do other heads of state, written constitutions and elected upper houses offer a guide to reform in Britain? Sweden’s constitution is more democratic than Britain’s, but what does it really look like and why is it still important for Sweden to become a republic? Where does control lie in the Westminster system, and how can we take the parliamentary idea and make it genuinely democratic? What would be the role of an elected, effective head of state? Lecturer in Modern and Contemporary British History, Newcastle University. Reflections of a contemporary historian on a subject prominent yet overlooked, gleaned from years spent in archives, media, and seminar rooms. How do we make parliament and politics more democratic, more relevant and better suited to the needs of ordinary people? What are the challenges that face Britain’s democracy in the years ahead? You’ll have the chance to enjoy the Discovery Museum’s Great Hall – a magical art-deco space at the top of the museum – one of the building’s original features, and just a short walk from Newcastle Central Station. You can find it on the map. The Discovery Museum is a five minute walk from Newcastle Central station where national and local rail services depart as well as the Tyne & Wear Metro service and local bus services. The museum is well signposted from the station. You can find out more about the venue and get more directions from discoverymuseum.org.uk/visit-us/getting-to-us. At previous events attendees have told us they loved that their ticket included lunch, giving them more time to debate the issues, meet other supporters, and talk to speakers and key figures in the campaign. This time we will again have fresh food available for lunch – details to follow. We’ll also be serving tea, coffee, juices and biscuits throughout the breaks. This entry was posted on 12 July, 2017 in homepage and tagged Chair: Dr Simon Philpott, Chi Onwurah MP, Christina Örnebjär MP, Emma Dent Coad MP, Natalie Bennett, Newcastle upon Tyne, Republic Convention. Bookmark the permalink.